Aila Malik and her son, Zyan co-authored, Pocket Mommy to help young children with separation anxiety. Bonding with your child about something as important as their personal security at early ages is essential, and cultivating open communication about what is happening in our children’s lives on and off line is a requirement. By the same token this bonding can be challenging because our children’s childhoods are informing them radically differently than our own with internet-powered living which inspires autonomy and anxiety. We have much to learn from our children about the human condition, as much as they need us to impart wisdom. When our children are stressed or excited, we can empower them to use their imagination to manage the emotional response to the things that are happening in their lives so they can learn the lessons of love which bring about peace to lessen anxiety. And one of the first emotional responses with which many children must contend is separation anxiety from mom or dad. Aila Malik of Milpitas, California is a mom of three, seven-years-old and younger who recently published a book entitled, “Pocket Mommy” which helps children address overwhelming emotion associated with separation anxiety. The book is co-authored with her seven-year-old son, based upon his experience using a “pocket mommy” totem to talk about what happened during the school day. 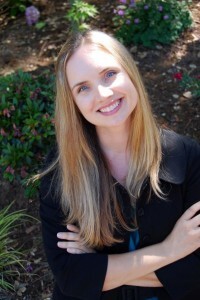 Roxanne Brecek, El Dorado Hills, Ca. mom of two children under the age of five uses the “pocket mommy” concept to help her son deal with separation anxiety with dad. According to Malik, below are some of the questions to ask your young child about “pocket mommy or daddy” to encourage conversations about emotion. What did pocket mommy or daddy see today? When did she or he come out? Why? What do you want to show pocket mommy or daddy tomorrow? According to Brecek, having a conversation piece helps comfort children and more importantly, give the parent a better understanding of their child’s emotions. This ability to talk about what happened during the anxious or emotional moments of the day is a great way to help children identify and talk about their feelings; it promotes emotional intelligence that is a skill critical for being resilient in the social network where cyberbullying is a concern. Opportunities to impart wisdom to our children involve learning on both the part of the parent and the child, which involves a change in the heart and mind of the individual. It cannot be manipulated or forced. To me this is a sacred process that requires an element of care, or what I call “analog” communication – a passion for your child’s liberty to think for himself. These conversations about emotions eventually create a safe place in the realm of heart and mind to explain how your personal beliefs and values make it possible to be resilient and confident. It is an opportunity to coach your child to be empowered, in control of himself, even when he is nervous, anxious or scared. The earlier we train children to tame emotion, the more cyber-safe they will be. Posted in Anxiety, Children's mental health, Discipline, Faith, Family, Family Business Quarterly, Happiness, Parent-child relationship, Parental Authority, Parental control, Parenting, Relationship.